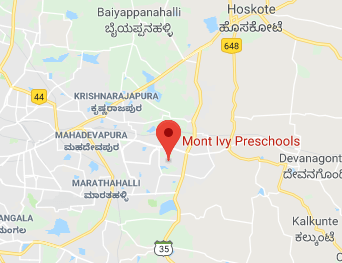 Mont Ivy Preschools is a professionally run educational institute with a global outlook. It encourages diversity and has a meritocratic culture. With a strong emphasis on teamwork, Mont Ivy has a largely flat organization structure. At Mont Ivy, one gets more freedom and responsibility than most other places, and careers progress much faster here. The preschool is very receptive to creative ideas that can add value to students and the institute. If you are qualified, have a passion for teaching, enjoy working in teams and believe that you can add value to children, then please apply for teaching positions at Mont Ivy. You can send your resumes to [email protected]. Please mention "Teaching positions" in the subject line. If you are applying for a non-teaching position, please mention "Non-teaching positions" in the subject line. The preschool also welcomes individuals and organizations with a philanthropic outlook to join Mont Ivy as Honorary partners. Honorary partners can work with our regular students and also with our social initiative - Mont Ivy Social Impact. If you would like to get associated with us on an honorary basis, please write to [email protected]. Kindly mention "Honorary association" in the subject line.